admin April 15, 2019 April 15, 2019 No Comments on Founder and Owner of Beverly Hills Aesthetic Surgical Institute and Roxbury Surgical Center LLC, David Saadat, M.D., Talks About Achieving A Graceful Renewal Of Facial Contours During The Decade Of The 60’s. David Saadat, M.D., founder and owner of Beverly Hills Aesthetic Surgical Institute and Roxbury Surgical Center LLC, discusses how taking care of one’s health and complexion has given rise to the collective agreement that 60 is the new 40 and offers a few suggestions for achieving the most graceful renewal at this age..
LOS ANGELES, CA April 15, 2019: Owner and Founder of Beverly Hills Aesthetic Surgical Institute and Roxbury Surgical Center LLC, David Saadat, M.D., posted a new blog on his website entitled, “How 60 Has Become The New 40” in which Dr. Saadat suggests that it may be time to make a few permanent tweaks. Daryoush (David) Saadat, MD is a world-renowned, board certified, surgeon with over 20 years’ experience in Otolaryngology, Facial & Reconstructive Surgery and Sleep Medicine. Known for his unique and warm bedside manner, Dr. Saadat strives to help patients achieve optimal cosmetic and functional results. A sleep, snoring and breathing expert, Dr. Saadat is part of a select group of surgeons chosen to work with Inspire Medical Systems for the treatment of sleep apnea. He also works with Spirox for the treatment of nasal airway obstruction. If someone you love snores, don’t wait. Ask Dr. Saadat about it. 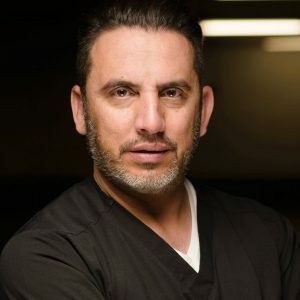 Affiliated with top medical schools and hospitals in California, including Los Angeles County, University of Southern California Medical Center and Cedars Sinai Medical Center, Dr. Saadat is called upon to lecture on the latest surgical, sleep and breathing techniques. His dedication to educating and training make him a hot commodity on the lecturer’s circuit. Curious by nature, he has a passion for learning by doing and often assists his fellow doctors from around the world. The results are groundbreaking and produce innovative techniques that others follow. Dr. David Saadat, The Beverly Hills Aesthetic Surgical Institute and Roxbury Surgical Center LLC, offer an extensive selection of effective, state of the art procedures that are individualized to meet each of your unique needs. Dr. Sadaat is board certified in facial plastic and reconstructive surgery, otolaryngology and sleep medicine. Equipped with knowledge gained through both a wonderful career and excellent education, Dr. Sadaat and his staff are able to help you find the right path to personal satisfaction.